I think we can all agree that Halloween punch without creepy smoke flowing from it is just, well, a bucketful of Kool-Aid, basically. 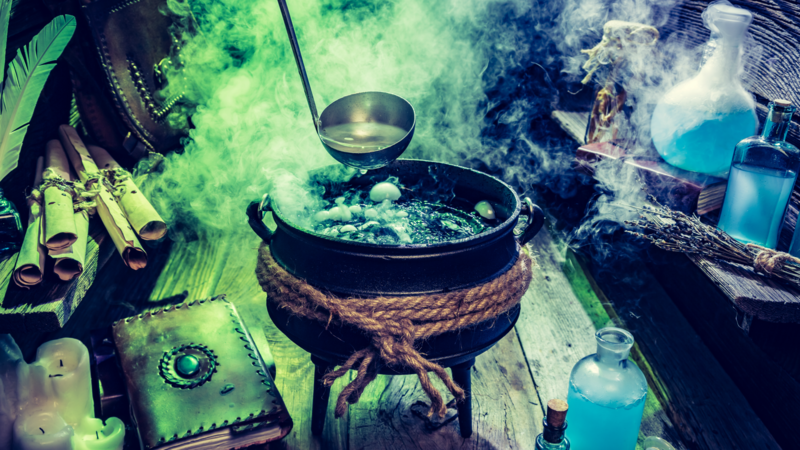 But add a little dry ice into the mix, and you’ve got a witch’s cauldron full of double, double toil and trouble. All the bubbly magic will seriously take your All Hallows Eve party to the next level. Dry ice is basically frozen carbon dioxide. Adding water changes it from a solid into a gas, creating a dense fog. It’s a cheap and no-fuss special effect. Most grocery stores sell blocks of dry ice, although some carry pellets instead. Either will work. 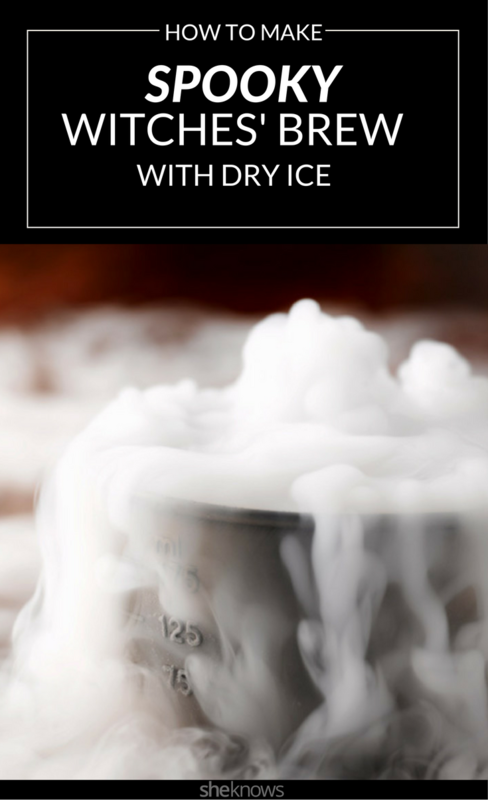 As long as you’re careful, you won’t run into any problems using dry ice. But it’s about -110 degrees F, so dry ice can cause injuries if you touch or ingest it. Be sure to use it in a well-ventilated area and keep it out of reach of pets and small children. This method is safe and easy — it keeps the dry ice separate from the punch while still creating a dramatic boiling and smoking effect. You’ll have the spookiest party on the block. In a well-ventilated area, wrap the dry ice in a towel and break it into chunks using a hammer. Use tongs to transfer chunks of dry ice into the larger of your 2 bowls, creating a flat space in the center. Place the second, smaller bowl inside the larger one. Pour your punch into the small center bowl, making sure no dry ice gets in. Fill a pitcher with warm water, then pour it on top of the dry ice. Add more dry ice chunks and water to the larger, outer bowl, being careful not to get any dry ice into the smaller punch bowl, throughout the night to keep the fog going. Place the block of dry ice on a towel. Use a wooden or plastic work surface, as dry ice can crack tiles. Wrap a towel around the block, then break it into chunks using a hammer. Be sure both of the bowls you use are plastic or metal since dry ice can crack glass. Put any unused dry ice in an open plastic container and store it in a cooler filled with ice. Never store it in the refrigerator or freezer. Five pounds of dry ice will last about an hour. Keeping a nearby fan on low will intensify the effect.